HomeOnline Poker NewsUSPO Short Deck — Sean Winter Wins! Sean Winter is really doing a great job out there in the US Poker Open as he managed to make it to four final tables this year. However, the closest he came to being a winner was in Event #1: $10,000 NLH when he faced Stephen Chidwick in the heads-up play and lost. All of that changed in Event #4: $10,000 Short Deck, with Sean Winter finally winning and earning a total of $151,000. The field contained a total of 42 entries that Winter managed to beat in a game where he did not have a lot of experience. He even managed to win despite the fact that David Peters was leading during the final table. Short Deck is an unusual type of poker and Winter is not a player who can claim that they’ve mastered it. In fact, he had to face an all-star final table and was not even sure that he was going to win. This time, lady luck was on his side, and he was able to emerge victorious. Winter confirmed his lack of experience when it comes to Short Deck poker, stating that the previous three tournaments where he had made it to the final table were all types of poker he was good at. However, he had to learn Short Deck on the fly this time, and it turned out to be quite fruitful for him. Furthermore, Sean Winter was awarded 200 points and is now the leader in the 2019 US Poker Open Championship race, with second place being Stephen Chidwick. There are still a couple of events left in this competition, but it would be interesting to see these two players competing for the final trophy. The final table consisted of six players, and the first one to hit the rail was Stephen Chidwick, earning $25,200. He was followed by Ben Yu and Ben Lamb, who won $33,600 and $42,000, respectively. The third place was reserved for Seth Davies, who took home a sum of $67,200. The heads up was played between David Peters and Sean Winter. Peters was an obvious chip leader at the moment of entering the final part of the event, but Winter managed to turn things around shortly after. During the last hand, Winter managed to have two pairs while Winter had just one pair and had to settle for the second place and a consolation prize which was $100,800. The tournament is still not over, and there are a couple of events left before things reach their conclusion. Does this victory make Winter a favorite in the USPO race now? Chidwick Wins Third US Poker Open Title! 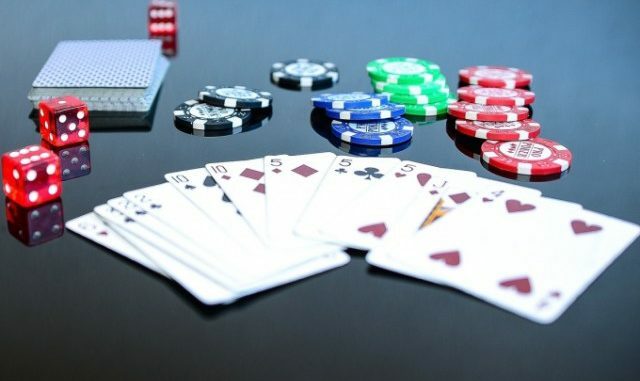 What Can We Expect from Poker in 2019? USPO 2019 Event #8 — Nick Schulman Wins!